Home Blog Passing the State Exam on the First Try - Certified Nurse Assistant Class! 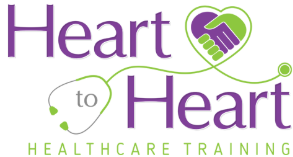 Heart to Heart Healthcare Training student’s have a passing percentage of 95% on the first attempt of their nurse assistant state exam. We pride ourselves on how well we prepare our students for not only the state exam but also the real world. We prepare our students in a variety aways during our class, and after class is over through lecture, lab and clinical as well as refresher courses. The Michigan Certified Nurse Assistant state exam consists of two portions – written and clinical. The written portion is completed on a computer and consists 60 questions and the student has 90 minutes to complete. The clinical portion consists of 5 skills the student has to demonstrate for a nurse evaluator. The student will learn a total of 22 skills throughout the class that they can be tested on. Of the 5 skills, the student will automatically have to demonstrate proper hand washing and indirect care. The remaining 3 skills will be selected at random out of the 22 skills they could possibly be tested on. The student will not know what remaining 3 the skills they are required to demonstrate until they walk into the clinical portion of the state exam. It is important they are proficient in all 22 skills to make sure they are fully prepared for any skill they receive to demonstrate on the clinical portion of the state exam. First and foremost we start in class by providing a hands-on experience. Our students will practice each and every skill several times in class, to ensure they are confident and competent. This hands-on approach helps each student prepare for our third component of our class, clinical. When students reach clinical they will be physically assisting patients and residents in a local nursing home with personal care such as showers, bed baths, toileting, dressing, assisting with meals, obtaining vital signs and more. We go to a local nursing home in the Ypsilanti/Ann Arbor are for our Ypsilanti location and the Bay City area for our Essexville location. Through our hands-on approach in our lab section of class, the Certified Nurse Assistant students go into clinical eager and confident in the skills they need to perform. Our lecture section helps prepare students for the type of patients they may come across, how to properly interact with patients, the difference between the classroom and the real world, and more. For the written portion of the Certified Nurse Assistant (CNA) state exam we have the students take several tests throughout the class to prepare them for the state exam. They will read through a book, take tests for each individual chapter and have a final as well as a mock written state exam. After the nurse assistant class is finished, Heart to Heart is still there for the students. We offer refresher courses to allow the students to come back into the lab and practice their skills right before their state exam. This allows them to ask the instructor questions, refresh their mind and their body on the skills and steps required to pass the state exam on the first try. The students are also given a detailed step-by-step checklist made by instructors with a combined total of 40 plus years of experience in preparing the students for the state exam. 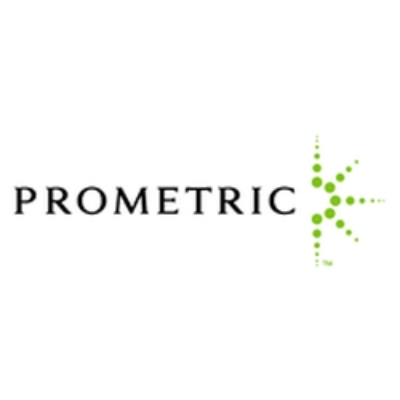 The State of Michigan contracts the company – Prometric to administer the state exam. The Michigan Certified Nurse Assistant state exam costs $125. More details on the State Exam and how to apply can be found on this website – www.prometric.com/nurseaide/mi. Please feel free to reach out to us about any questions you may have regarding our certified nurse assistant classes, our cna training, the state exam, our refresher courses and more. We can be reached by phone or email. Our phone number is (800) 970-2918 and our email is info@h2hhealth.com.